Charming home at 60 Monterey Pointe Drive in Monterey Pointe at PGA National at an incredible price per square foot. The spacious floorplan includes voluminous ceilings, a formal dining area, den, open living area, and a master suite on the 1st floor. The spacious screened-in patio is private and perfect for relaxing after a long day or entertaining guests. Two guest bedrooms with lots of space, a full bathroom, and large loft area make the 2nd floor a perfect place for company to relax. Includes a 2-car garage. Great community pool. Available furnished. 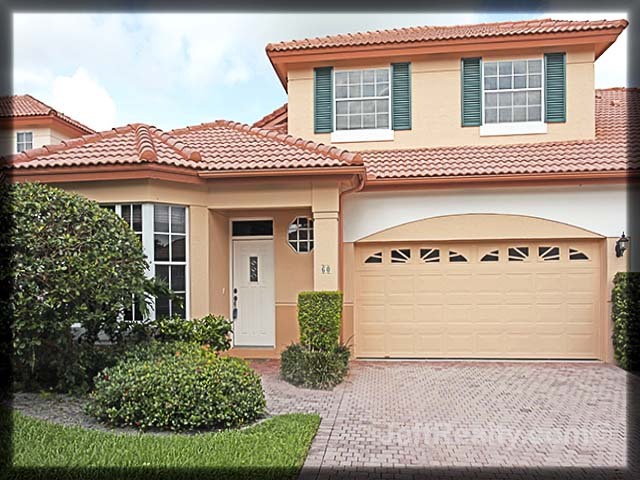 Posted in PGA National, PGA National homes, PGA National homes for sale on May 21, 2012 at 5:24 am.